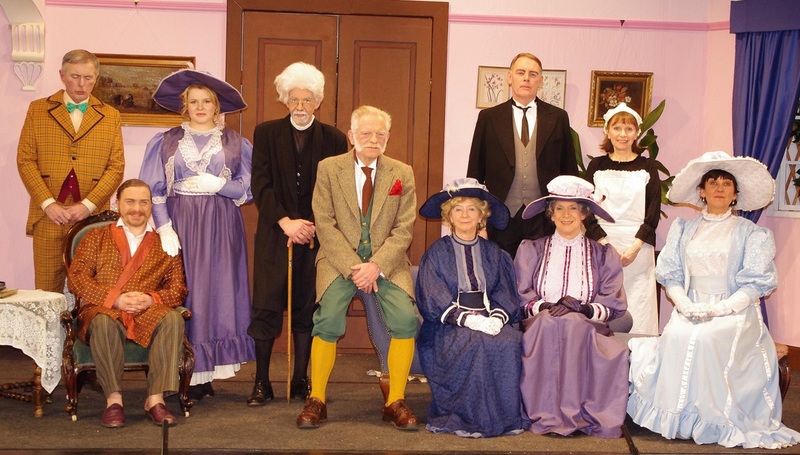 Crieff Drama Group delighted audiences in early April with a three-night run of the comedy Lord Arthur Savile’s Crime. Based on a short story by the great Oscar Wilde, Constance Cox’s highly amusing script was expertly performed by this now established local company. 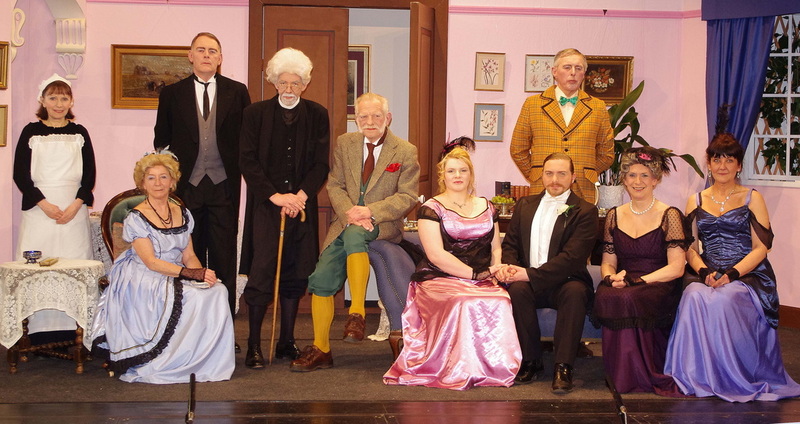 Staged perfectly with beautiful costumes, the audience were transported back to 19th century upper crust London and treated to the witticisms of Wilde that are still relevant today. As the play opens we learn that Savile is happily engaged to be married to the lovely Sybil. However, her mother, the stern Lady Julia Merton, is not convinced of his background and invites a ‘celebrity’ cheiromantist (fortune teller) Mr Podgers, to check out his credentials before the big day. Savile is cleared of any past indiscretions but is duped by Podgers (the cheiromantist) into believing that in the future he sees blood on his hands. A man of honour, Savile believes he must commit the murder prior to marrying Sybil. It turns out that Podgers is actually a fraud and a blackmailer, but not before Savile, aided by his faithful but ambitious butler Baines, has made numerous murderous attempts against members of his family. Joining the duo in their attempts is anarchist Herr Winkelkopf who literally adds an explosive element to the mix. The cast kept up a fast pace throughout this laugh out loud show and director Gordon N Campbell should be congratulated for his casting and timing. The chemistry between Savile (Ralph Campbell-Smith) and Baines (John Cummings) was electric. Sybil (newcomer Holly Lynch) was delightful while her mother (Kerry Hunter) was appropriately catty. Savile’s aunties Windermere (Jane Drysdale) and Clementina (Helen Day) were delicious, while the roles of the Dean of Paddington (Paul F Kelly), Podgers (Tom Inglis), Winkelkopf (Mike Owens) and Nellie the Maid (Kate Beauchamp) were well played and full of humour. All in all this was a top drawer production from a local group that goes from strength to strength. The question is now, what delectable delights will they serve up at their Supper Theatre evenings in October?